ANIMAL KINGDOM reminds us that nature’s array doesn’t just include pandas, dolphins and Golden retrievers: it also hosts hyenas, scorpions and ticks. Eating, hugging and picking up loaves of bread among their cousins on the human branch of the kingdom in middle-class Melbourne is the ordinary-appearing Cody Family. They love each other and have a set of rules they live by. They also rob banks and kill people. 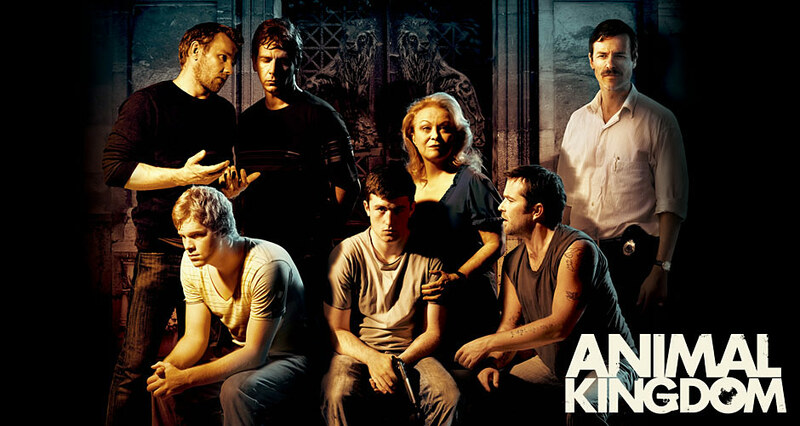 One of the best crime dramas of its decade, this Australian sleeper drew rave reviews and prizes Down Under, and made a splash here in 2010 when co-star Jacki Weaver got a Supporting Actress nomination at the Academy Awards. Weaver’s ‘Smurf Cody’ controls her sick brood with as much iron determination as Ma Barker or Barbara Bush wielded over their spawn. She smiles, but the glitter in her eyes comes from the reptilian basement of her brain instead of the cookie-baking counter. 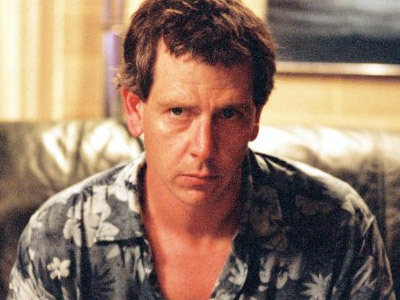 Chief among the sons (all maybe too close to Mum) is ‘Pope Cody’, inhabited to the point of unsettling viewers by Ben Mendelsohn. This guy is as ordinary looking as Gene Hackman or Dustin Hoffman and every bit as magnetic. After I watched this, I immediately started looking up everything I could find about these two wonderful actors, lauded in their country, unknown in the States until this landed. It’s fun now to see Weaver showing up a lot and Mendelsohn couped a magnificently rich season on the Netflix series Bloodline (check it out). Highest marks to both. The rest of the cast is likewise exemplary—Joel Edgerton, Guy Pearce, Luke Ford, Sullivan Stapleton, James Frecheville. Directed & written by David Michod, the movie has some violence, but it’s not the spattery gratuitous sort: mostly the jitters come from the way it cranks up tension with the remorseless tautening of a medieval rack. These neighbors are not to be messed with. 113 minutes.